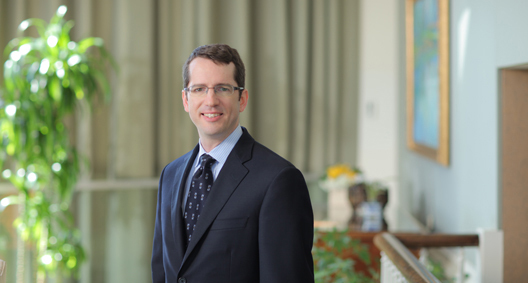 Tom Hogan represents clients in complex commercial, environmental and administrative law litigation. Tom also advocates for clients in their dealings with regulators and counsels them on proactively managing potential liabilities. Tom has been recommended for antitrust by The Legal 500 (2018) and rated AV Preeminent®, the highest peer review rating available, in the Martindale-Hubbell register for lawyers. He twice served on the Law360 Environmental Editorial Advisory Board, and is a co-author of Mergers and Acquisitions in the United States: A Practical Guide for Non-U.S. Buyers (Aspen Publishers). Representing a manufacturer in a mass tort lawsuit alleging exposure to hazardous substances in Indiana. Representing the Port of Portland concerning alleged Natural Resource Damages (NRD) under CERCLA at the Portland Harbor Superfund Site. Representing a company in litigation concerning parties’ rights and obligations under a multibillion-dollar asset purchase agreement. Representing multiple companies in connection with a federal criminal investigation alleging violations of the Resource Conservation and Recovery Act (RCRA) and the Hazardous Materials Transportation Act (HMTA). Representing a recycling company in connection with the investigation and enforcement action by a state environmental agency concerning hazardous waste. Represented a New England farm regarding alleged violations of Section 404 of the Clean Water Act (CWA). Defended the first permitted U.S. utility-scale offshore wind project against litigation challenging the federal government's approval under the National Environmental Policy Act (NEPA), the Outer Continental Shelf Lands Act (OCSLA) and the National Historic Preservation Act (NHPA). Represented an energy services company in proactive litigation against its environmental regulator to compel the approval of the company's plan for managing onsite hazardous wastes. Represented a recycling association opposing a lawsuit petitioning for regulation under the Toxic Substances Control Act (TSCA). Defended a global defense and technology company against CERCLA claims regarding hexavalent chromium and PCB contamination at a municipal park in New York. Defended a steel manufacturer in defeating challenges to the issuance of its Clean Air Act permit in connection with the construction of a new steel mill. Represented a consumer products manufacturer in environmental insurance coverage litigation regarding groundwater contamination in California. Representing clients in civil antitrust litigation and investigations. Advises clients on Hart-Scott-Rodino (HSR) premerger notification filings required for antitrust clearance at the Federal Trade Commission and Department of Justice. Representing company in Administrative Procedure Act (APA) litigation with Food and Drug Administration (FDA) regarding drug compounding. Secured a court order for confidential discovery from the Executive Office of the White House in a defamation lawsuit. Litigated the issue of an insured's right to select defense counsel of its choice in a mass tort claim arising from a notorious, fatal nightclub fire. Represented a hospital concerning insurance coverage for more than 100 claims alleging abuse by a former staff physician.